Phew! Two months have passed since the last blog, and they've been full of stuff, but now we're back in business. Huge apologies for the gap - I know you've missed me! So, what have I been up to? Mainly finishing off exam hall supervising at UCL, and then catching up with things I couldn't do because of that. The Walkie Talkie Part Three course has been a big undertaking, but now that it's run its ten weeks I can look back at a great deal achieved by everyone. Most importantly, the learners did very well to grapple with the more hands-on approach of this course, and took me (one stop each) on a tour from Mile End to Bow Road Underground Stations. This was the second task of the course, to give learners experience of rudimentary risk assessment and positioning. We were under the minimum number limit, but as Parts One and Two didn't run last autumn we were allowed to go ahead. 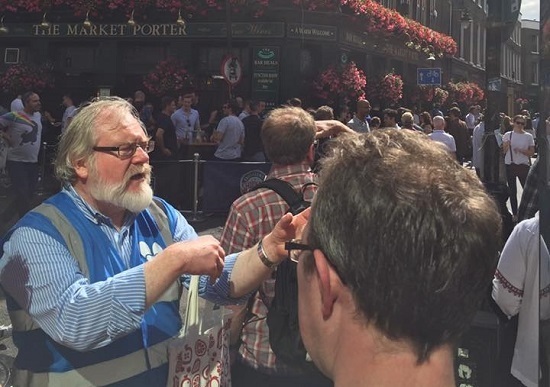 Footprints of London have been developing some tours which we can offer as Footprints tours, rather than as ones by individuals, and I've been overseeing the 'LDN like a Local' tour. It's an East End tour which looks at trends and fads in London street life which originate from or are represented in the East End. The spine of the tour is Brick Lane, from Whitechapel to Bethnal Green via Spitalfields. The suite of three are being offered to some groups later in the summer, so this will show how marketable they are. I managed to get a couple of private groups. My good friend Gillian Woods arranged for me to take her Mum and Stepdad's University of the Third Age group on my 'Booze and the Borough' tour, exploring the connections between historic Southwark and drink. Also German tutor Ingrid Schneider-Lietke booked me to take some of her Business English students on 'The Unquiet City', nearly two thousand years of unrest in the City of London. 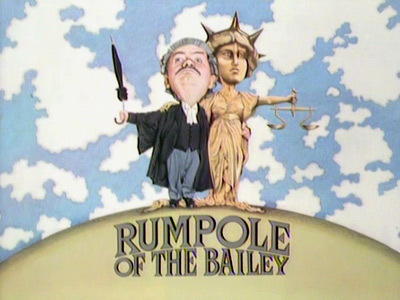 Though I promised myself I'd devote this year to the East End, I've decided to bow to my own internal prompting to develop a Rumpole tour. This will be another of my literary tours with readings, so look out for 'Rumpole and the Legal Life' in August. After this I'm returning to Whitechapel - details to follow. There have been meetings, there are more to come; there are a number of things to come, but they can wait for the next time. I should be alright for the next blog post in a fortnight, and the following fortnights. Once again, apologies for the delay - normal service is being resumed. Thanks for your patience.